Today's post is going to be quick as I'm leaving today to go across the ditch to a little island called Australia and I need to pack, ASAP! Literally I woke up and ran downstairs in my undies to take these photo for you, so they are FRESH I tell ya. (Simultaneously elbowing husband out of the way and demanding coffee type of fresh. ah young love). 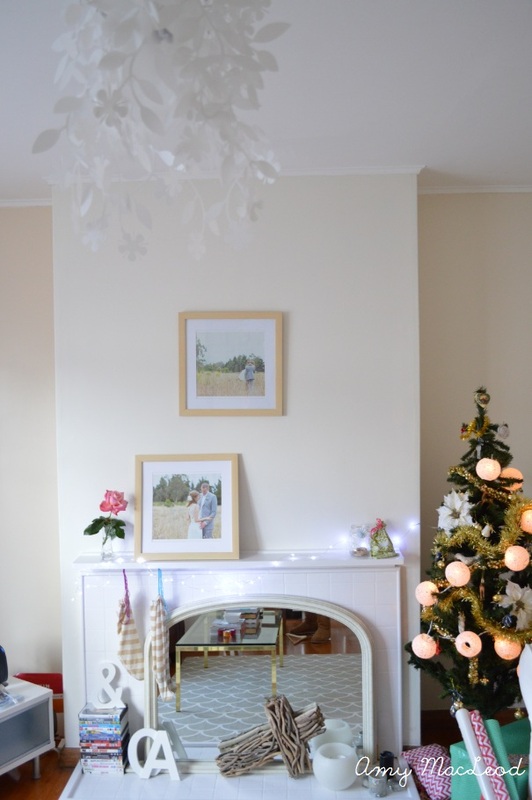 You can see how our mantel normally looks here, but and I explained in our last Christmassy post, I really want to keep these light and simple (since it's SUMMER here and dark red+green+fake snow just aren't working...). 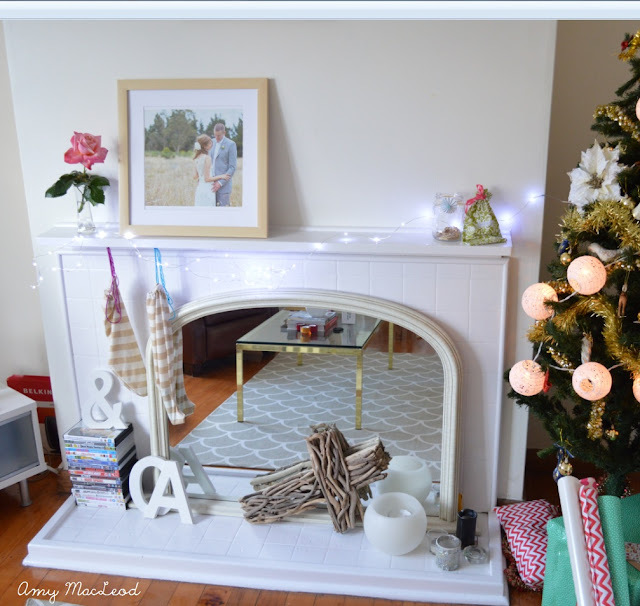 Enter our white+gold (+ a little pink) Christmas Mantel complete with pink rose from my lovely mum-in-law. They don't show up so great in the photos but trust me, that string of LED lights are magical and so, so white. 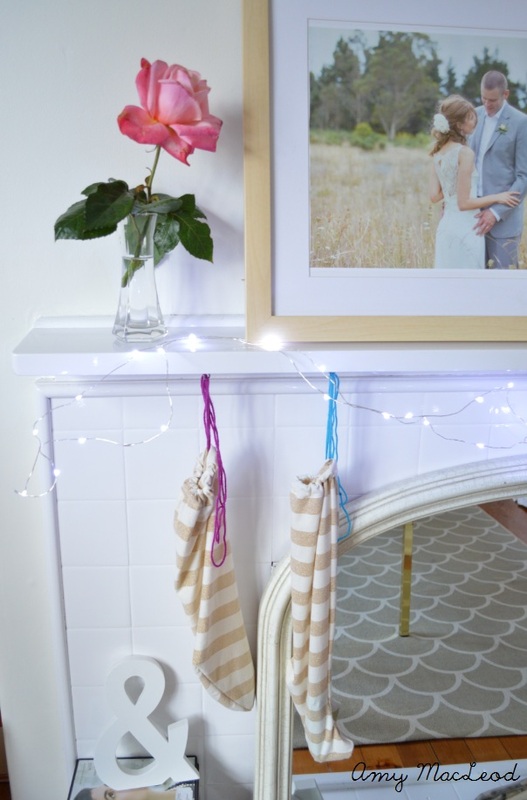 Linking up to Ten June! Simple and sweet, just like you! I love the lights. 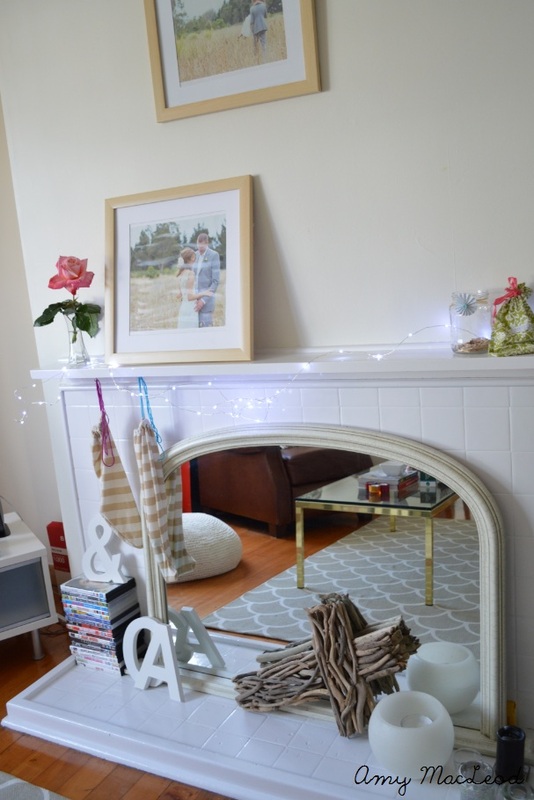 Glad you linked up, your mantel is so sweet! Love those wedding photos, too!